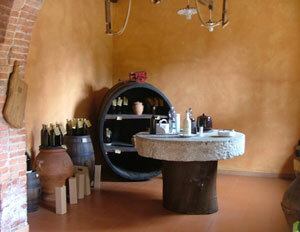 Looking for Frantoio olive oil? 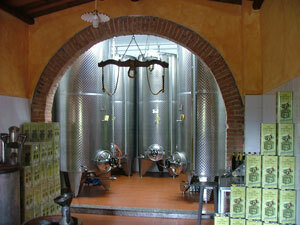 Frantoio Stanghellini is one of many olive oil manufacturers in Maremma and is my local Frantoio. I have eaten and cooked with olive oils from many different "Frantoi" in Tuscany, but for me this father and son family business, with three generations of experience, produce the best tasting olive oil. 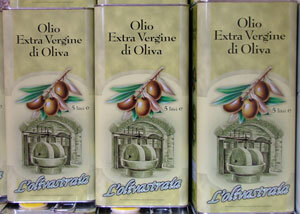 The extra virgin olive oil that they produce - they only produce "olio extravergine toscano" - is called Olivastraia and takes its name from the ancient variety of olive tree called "Olivastra" that grows in their "oliveti" (olive groves). The 5000 trees in their "azienda" are cultivated using modern agronomic pruning and irrigation techniques, but the fertilisation of the soil in which they grow uses a wholly organic and ancient system: the spreading of manure! In the Autumn of each year, the olives at Frantoio Stanghellini are harvested directly from the trees by hand using the traditional "brucatura" method of hand-raking through the branches and catching the falling olives in nets placed below. A time and man intensive operation, requiring many hands of help. Father and son then mix the "Olivastra" olives with those from other Tuscan olive tree varieties such as the Moraiolo, Leccino and Frantoiano, to produce a very high quality "olio toscano" - Tuscan oil. 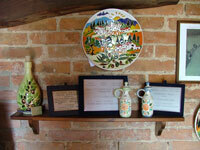 When I visited to take the photographs for this page, the production of this years olive oil was well underway and the perfume inside the fattoria was intense and fruity. I left with a bottle for making bruschetta for lunch that day and I can vouch for the fact this years oil is as good as the last. It has a wonderful fruity taste with a mild but noticeable "piccante" (spicy) aftertaste. Wonderful! 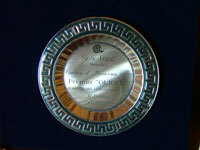 The high quality of the extra virgin olive oil produced by Frantoio Stanghellini is evidenced by the many awards which hang on the walls of the fattoria, including the 2008 Slow Food Monteregio award, "Calci d'Inverno 2008 Premio 'OLIO E' oli segnalati della Guida Extravergini 2008". 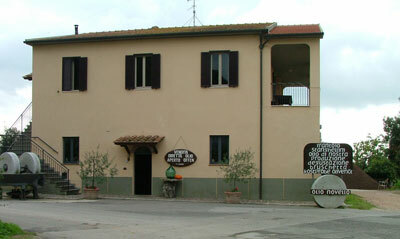 The Frantoio is always open, so if no one appears to be around when you visit, just ring the bell and father or son will appear from where they were working. 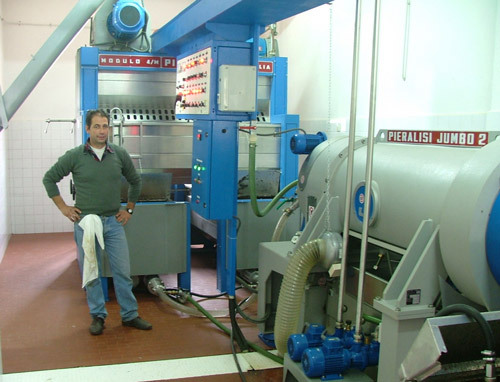 They also offer olive oil tasting with "bruschetta" (hot toasted Tuscan bread - the very best way to taste olive oil), and tours of their pressing plant and olive groves in the countryside surrounding Valpiana. They can cater for groups large and small. I have seen many a coach-trip of visitors sampling the Stanghellini olive oil and leaving Valpiana laden with bottles of the wonderful "olio verde". On the premises they sell 75cc bottles and five litre tins of L'olivastrada Extra Vergine di Oliva, or you can take your own container to be filled. But they are only able to mail to customers the five litre tins.